I suppose it would eventually come to this: all the reading, investigating, and research I’ve done since discovering the truth about 9/11 would lead to a re-examination and re-learning of much of history, especially the mainstream version of WWI and WWII history. Since I began looking into 9/11, I’ve explored all sorts of “conspiracy theories”, but lately, largely as a result of following the work of Deanna Spingola, ZionCrimeFactory, Carolyn Yeager, Veronica Clark, and others, I’ve began to delve deeper and deeper into revisionist history and what Adolf Hitler and the National Socialist German Workers’ Party (NSDAP) really stood for. And today I’d like to share some of my thoughts with you about this subject. National Socialist ideology did have opinions about and openly discussed race and the “Jewish Problem”, but it’s far more nuanced than the mainstream version of history. For starters, National Socialism was more pro-German, pro-Aryan than anti-other races – except the Jewish “race”. They cherished and sought to preserve their German race and identity, recognizing the destructive and subversive nature of Jewry, and their innate ability to corrupt society. They said and wrote some “extreme” things by today’s Orwellian standards – but truthful things. The National Socialists were just being honest about the nature of organized Jewry, and their threat to Gentile societies. Is it any wonder then that Hitler specifically, and National Socialist Germany generally, are so demonized, slandered, and hated by the Jews, and thus much of Western society due to their control over the mass media and educational system? Hitler and the National Socialists not only spoke openly and honestly about important subjects, clearly identifying the enemy of all humanity – international Jewry – they made serious moves against this destructive, parasitic network of criminals that had wrecked their country and sought to destroy their people. Hitler and National Socialism were the anti-thesis to Jewish Communism and Jewish plutocratic capitalism, and it’s time we recognize this fact. I linked this article by Veronica Clark in the last post, which explains in great detail the rise of the NSDAP in Germany, dispelling all of these myths about Hitler being funded by Jews, or the Rothschilds, or the Illuminati, or the bankers, ect. Sit down and read it if you haven’t yet. I’m also currently reading Heiki B. Gortemaker’s Eva Braun: Life with Hitler, which succinctly summarizes the rise of the NSDAP in just a few pages. She discusses the central importance of the Munich beer halls as gathering places and recruitment centers (beer halls have a long history as political gathering places in Germany) of the NSDAP, the increase in popularity of the NSDAP following the economic crash of 1929, and Hitler’s efforts to unite all segments of German society – industrialists, aristocrats, soldiers, civil servants, farmers, workers, teachers, students, mothers, fathers, children – under the banner of National Socialism. If Hitler and the NSDAP were “Rothschild agents” or “Jewish puppets”, why on earth did they do things like this or this or this? Why did Hitler perfectly describe the Big Lie technique (Holohoax & 9/11) used by the Jews to advance their “New World Order”, deceive and rob Gentiles, and subvert their governments, economy, and culture if he was secretly working for them? Why did Joseph Goebbels and other NSDAP leaders say things like this if they weren’t for real about their convictions? Second, Hitler was not “the founder of Israel”. This is absurd, and I’ll explain why. […] German support for Zionism was not unlimited. 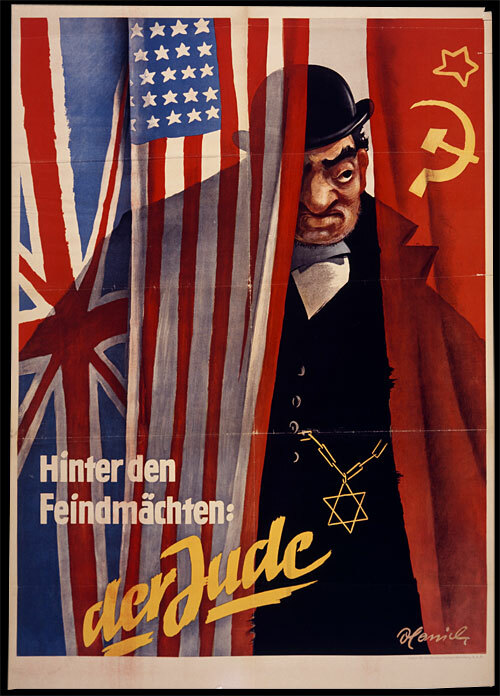 Government and Party officials were very mindful of the continuing campaign by powerful Jewish communities in the United States, Britain and other countries to mobilize “their” governments and fellow citizens against Germany. As long as world Jewry remained implacably hostile toward National Socialist Germany, and as long as the great majority of Jews around the world showed little eagerness to resettle in the Zionist “promised land,” a sovereign Jewish state in Palestine would not really “solve” the international Jewish question. Instead, German officials reasoned, it would immeasurably strengthen this dangerous anti-German campaign. German backing for Zionism was therefore limited to support for a Jewish homeland in Palestine under British control, not a sovereign Jewish state. A Jewish state in Palestine, the Foreign Minister informed diplomats in June 1937, would not be in Germany’s interest because it would not be able to absorb all Jews around the world, but would only serve as an additional power base for international Jewry, in much the same way as Moscow served as a base for international Communism. Reflecting something of a shift in official policy, the German press expressed much greater sympathy in 1937 for Palestinian Arab resistance to Zionist ambitions, at a time when tension and conflict between Jews and Arabs in Palestine was sharply increasing. Bottom line is, the Jews were dead set on establishing their criminal, usurping state in Palestine, not only to fulfill their twisted messianic prophecies, but also to gain a safe haven and central headquarters for their global crime syndicate, a fact Hitler recognized. He wanted the Jews out of Germany in order to rebuild German society after the devastation of WWI. The Jews in Palestine perfected their use of terrorism and underhandedness and declared “independence” shortly after Germany’s defeat in WWII, using their fake “Holocaust” story and agents of influence across the globe to sell their false narrative of history to the rest of the world. And who were the first governments to recognize the illegitimate, terrorist state of Israel? Two of international Jewry’s biggest puppets: the United States and the Soviet Union. 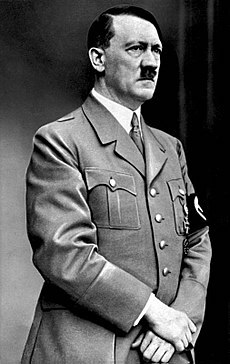 Hitler and National Socialist Germany’s ultimate aim was the removal of the Jews from Germany and Europe, and they collaborated with the Zionist movement to accomplish this goal. After the Jews and their puppet Allies brutally destroyed Germany in WWII, which represented the greatest threat in history to the global Jewish crime network behind “The New World Order”, it was only a matter of time before “Israel” would be officially established. America today, as opposed to Germany in the 1920s and 30s, is essentially a multinational empire, a true melting pot of all races, nationalities, cultures, and lifestyles. 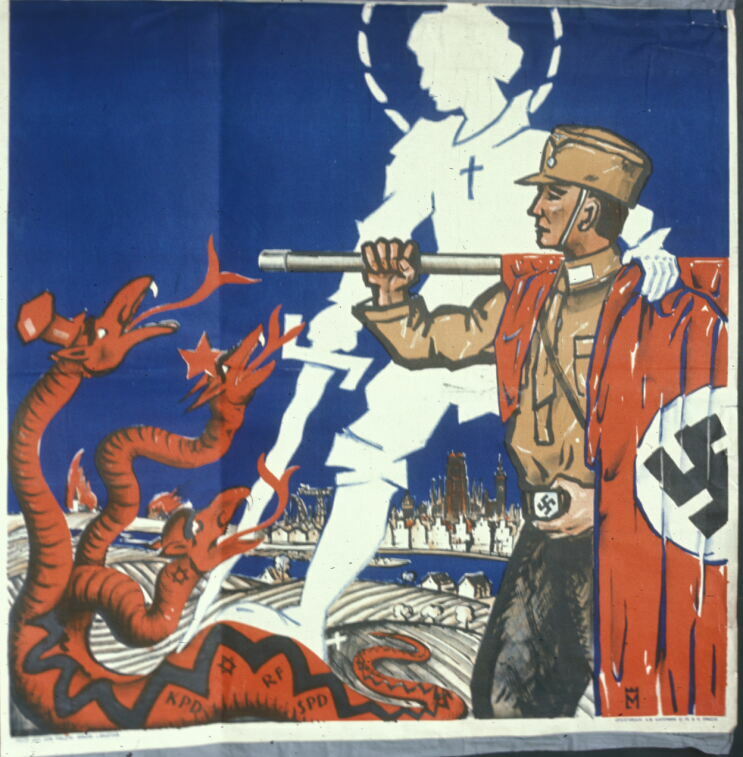 National Socialism sought to unite all elements of Germany society on their common German heritage and Nordic (or Aryan or white, whatever term you want to use) race, and wasn’t afraid or intimidated by organized Jewry, which long ago declared war on the Gentile world. Important work John, informative and convincing. 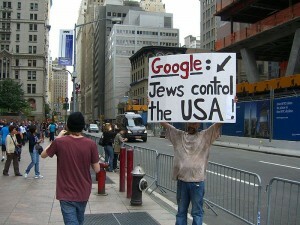 It is indeed this reversal of truth propagated by jews and traitors about NS Germany that props up the jew world order. It is these ‘cornerstones’ of jewish power -based on myth and slander- that we must address to bring zion down. I am a military historian committed to unbiased research on World War II and related subject matter. All of my books have been delisted on Amazon.com in protest against white nationalists, neo-nazis and neo-fascists promoting and using my work and research for their racist, hateful agendas. I am a proud supporter of the Southern Poverty Law Center (since 2009). You aren’t the actual World War II revisionist Veronica Clark are you? Yes, I am. And if the blog that I linked to with my screen name offends you, now you know exactly how I feel about the white male supremacist filth you support. I ask you not to ever promote my work ever again. It doesn’t offend me, it disgusts me. I don’t promote anything supremacist, hateful, or racist on my site. It’s purpose is to educate people on the Jewish problem that is destroying our world. I don’t think I’ve ever promoted your work anyways, although I am a fan of it. Author Veronica Kuzniar-Clark is a military historian committed to unbiased research on World War II and related subject matter. All of her books have been delisted on Amazon.com in protest against white nationalists, neo-nazis and neo-fascists promoting and using her work and research for their racist, hateful agendas. Ms Kuzniar-Clark is a proud supporter of the Southern Poverty Law Center (since 2009). Why is there pictures of penises all over your website?